ClimaLite jersey with embroidered adidas brandmark. Soft, lightweight fabric for superior moisture management. Presenting a brilliant new way to play it cool on the pitch. 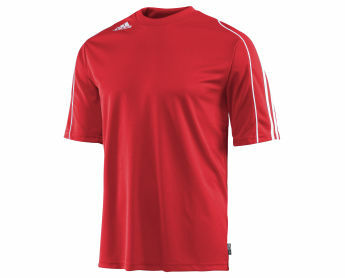 This short sleeve soccer jersey features moisture-wicking ClimaLite? for comfort and a range of bright colors just for fun.